Help! I Need Money For Bail! Are you scrambling to find a lender to help you get an emergency loan? Do you need bail money right now and can’t afford to wait? Title Loans Express Los Angeles can help you immediately! Don’t waste another second looking for lenders that will take over a week to get you your money. Title Loans Express will help you get your loan approved in just 15 minutes! Get your bail money, NOW! If you’re the owner of a car, RV, motorcycle, or vehicle, you can get a loan based off of the market resale value of your car. 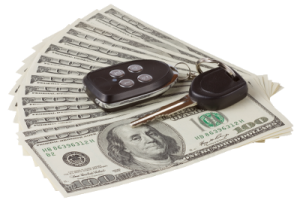 Title Loans Express provides a way for you to get your hands on a fast loan by providing car title loans. These loans are also called auto title loans, pink slip loans, and title loans. 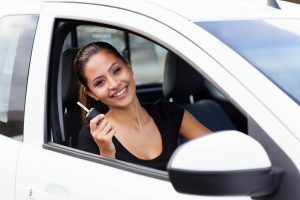 If you own your car, you will have a pink slip that verifies that you are the sole owner of your vehicle. The pink slip is also your way of leveraging the equity in your car and obtaining a loan using your vehicle. So How Do I Get Started? To get started on getting your bail money, call us now at 855-303-CASH (2274), or fill out an application online and we’ll contact you right away. Our loans officers are on standby to answer your calls and help you with any questions or concerns you may have about the process. Our online application is so simple, it will take you less than 5 minutes to fill it out! Can you imagine not wasting a second more on having to fill out paperwork? You’ll get your money a lot faster than you think! Once you get connected to a loan officer, we’ll ask a few questions to make sure you qualify for the loan. Don’t worry, it is almost a guarantee that you will qualify if you are the owner of a vehicle newer than 1999. Unlike the bank, we don’t make it hard for you to qualify. You don’t need a perfect credit score, a perfect payment history, or a large income. All you need is a car with enough equity to get a loan of at least $2,500. 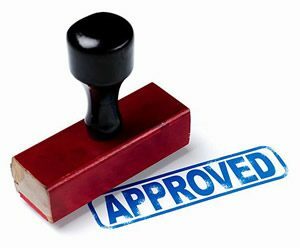 When you get approved for your loan, send in your documents to us! We’ll need a copy of your driver’s license or form of identification, proof of income, proof of residency, and a copy of your vehicle’s pink slip. And that’s it! No more paperwork! It really is as simple as that! We’ll wire you the money into your bank account or through MoneyGram and you’ll be on your way! What If I Have Bad Credit? Even if you have bad credit, it won’t stand in the way of you getting a loan with us! Unlike the bank, we don’t turn away any customers if they don’t have a good credit score. Instead, if your vehicle is worth enough equity, you’ll still be able to get a loan with us. We’ll make sure the process is convenient, fast, and easy! Call Title Loans Express today at 855-303-CASH (2274) and see how fast you can get your loan!